Since its inception more than 30 years ago, more than 15,000 students have completed the ACE Program and over 3,400 ACE students have earned one or more postsecondary certificate or degree (more than 6,000 degrees total). 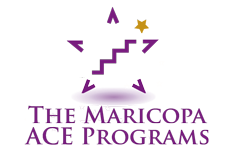 A $3,000,000 grant from the Virginia G. Piper Charitable Trust in support of ACE allows funds to stretch even beyond scholarships for this program that motivates underrepresented students to graduate high school and continue on to complete a college degree. Today, more than 80.7 percent of ACE alumni have gone on to college, while 56.4 percent have either completed a degree or certificate or are still enrolled in a secondary institution (not including private or out-of-state institutions).